People love their bananas, one of the most popular fruits consumed in the world. We generally only eat one banana cultivar, the Cavendish, which replaced another cultivar that was susceptible to Panama disease, a type of Fusarium wilt. Unfortunately, the Cavendish banana has been devastated by a new form of that fungal disease which might lead to the end of the availability of the banana in your local grocery store. But there is hope – scientists are developing GMO bananas that may save the fruit from becoming a distant memory. I have always been fascinated with Greenpeace, especially back in the ancient times, when I had much more activist ideas about environmental issues. They tried to block nuclear missile tests and save the whales, which seemed like the right things to do. But my scientific side matured, and after observing the Greenpeace anti-GMO beliefs for a long while, I’m not sure that they are scientifically literate. First of all, GMOs have been heavily studied, and they have been found to be safe for animals, humans and the environment. 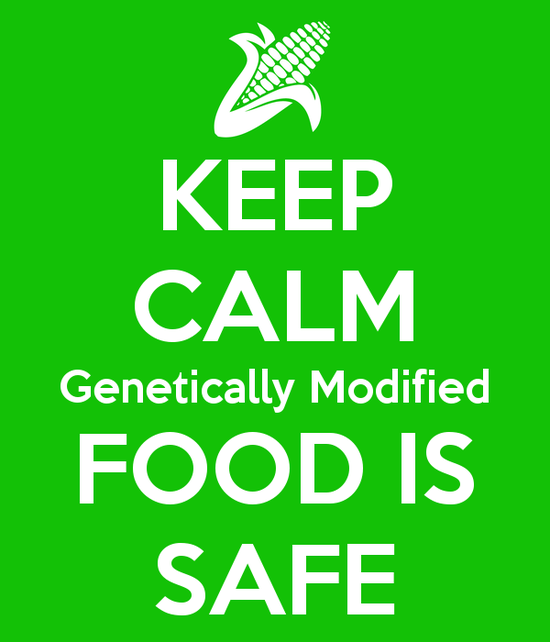 Moreover, the world’s leading scientific groups have come to the scientific consensus that GMOs are safe. Yet Greenpeace has anti-GMO as if GMOs were killing whales or something worse. They have been so steadfast in their opposition against GMOs that they have tried, partially successfully, to block the introduction of golden rice, a critical food to saving lives of hundreds of thousands of children. Well, I guess a bunch of real scientists got sick of Greenpeace anti-GMO beliefs that bordered on Ludditism. So, a group of 110 Nobel laureates wrote a strongly worded letter to Greenpeace, essentially calling it a “crime against humanity.” And yes, it is. Let’s look at this story with some science. From my perspective as a trained scientist, skeptic and observer of political debates, there are four scientific issues that have wandered into the realm of political debate: evolution, climate change, vaccines and genetically modified organisms (GMOs) generally with regards to food and agriculture. Evolution and human caused climate change (or sometimes called anthropogenic global warming, AGW) are scientific facts supported by literally mountains of data. The arguments presented by evolution deniers is easily refuted. And the myths pushed by global warming deniers are also quickly debunked. Both of these have become a part of the political conversation, with the evolution and climate change deniers being almost exclusively made up of conservative political groups, including Republicans in the USA. There is no debate about these two facts from a scientific point of view, unless someone cherry picks scientifically weak papers published in bad journals to confirm a bias against these scientific facts. Vaccines aren’t really a scientific principle per se, but the support for the safety and effectiveness of vaccines is pretty much settled by the vast majority of scientists who actually have experience, research and education in the key fields of science related to vaccines, such as epidemiology, immunology, microbiology, virology, etc. etc. The fact that about 95% of children in developed countries (including the USA and most of Europe) indicates that there isn’t even a “political debate” except some blathering and noise from a tiny lunatic fringe. And the 5% of children who aren’t vaccinated don’t exclusively represent active vaccine deniers–most of these unvaccinated children either cannot be immunized for some health reason, have procrastinating parents, or have parents who may be too poor to get their children vaccinated, even if it’s free to most people in developed countries. The only reason most of us get worked up about the approximately 1-2% of parents who actively resist vaccines is because we think all children should be protected from vaccine-preventable diseases. On the other hand, GMOs, at some levels, should have some level of public discourse and debate. For example, glyphosate (Monsanto’s RoundUp) resistant crops have raised public concerns, and despite some awful scientific evidence that has been solidly ridiculed in the scientific community, along with solid scientific studies that show no correlation (let alone causation) between human health and glyphosate exposure (see this, this, and this), excessive use of pesticides frighten people. Personally, I can buy into certain arguments against GMOs. For example, I think that monoculture agriculture is extremely susceptible to an introduced or novel pest, which could be devastating to our food supply. I am also concerned about certain unintended consequences such as evolved pest resistance (but then again this has been a war since the first day genetic modification occurred 10,000 years ago), lower crop productivity, or other issues. So far, science hasn’t uncovered any problems so far, so there’s that. If the anti-GMO environmentalist community wants to engage in a reasoned conversation about GMOs with those of us who have scientific evidence supporting our discussion points, then they have to quit using five bad arguments, which they seem to pull out of the manual of science deniers everywhere. Because anti-GMO arguments use the same ridiculous “debate” strategies as those who deny vaccines, evolution and climate change. As I’ve joked more times than I care to remember, I feel as all the science deniers attend the same convention to discuss tactics and strategies. It seems ironic to me that those who are anti-GMO make the same exact points as the climate change deniers, yet those two groups have nothing in common except they are both humans.